Posted by Lacey Hagler on Thursday, November 15th, 2018 at 10:18am. The Winter Equestrian Festival (WEF) also brings a local favorite to Wellington and Palm Beach County residents with Saturday Night Lights evenings, which are free and open to the public. A family-friendly event, activities include face painting, entertainment, carousel rides, and the highlight competition of the week- The Grand Prix. This event regularly includes Olympians, world champions, and the sport’s top jumping talents jumping obstacles at the 1.60m height. 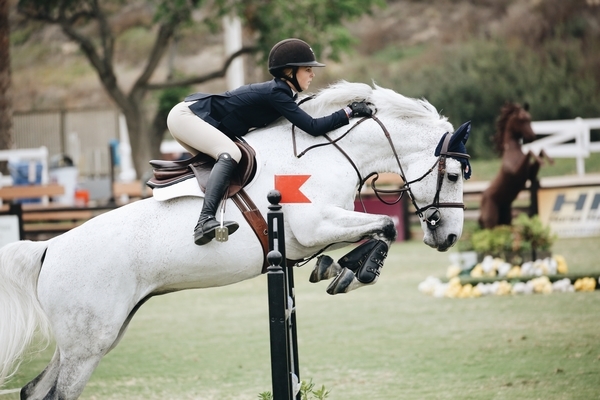 The first week of competition will feature the annual Battle of the Sexes on Saturday, January 12th at 7 p.m., when a team of male riders are pit against a team of female riders to determine who reigns supreme after completing several different jumping variations. The fourth week of WEF will combine thrilling entertainment and philanthropy, as the Wellington Eventing Showcase will bring the world’s top eventing athletes back to Wellington alongside the Great Charity Challenge. One of the three equestrian Olympic competitions, the discipline of eventing combines three different phases of competition: dressage, cross-country, and jumping. The Great Charity Challenge has raised more than $10 million for Palm Beach County charities since its inception by Mark and Paige Bellissimo more than 10 years ago. In a pro/am relay race, teams dressed in theme costumes will be paired with a locally based charity. The winning team will earn $150,000 for their partnered charity, while participating charities will receive at least $15,000. During the WEF season, the highest designation of jumping competition in the sport, FEI CSI 5*, will take place for four weeks- during WEF 5 (Feb 9), WEF 7 (Feb 23), WEF 9 (Mar 9), and WEF 12 (Mar 30). Each CSI 5* Grand Prix will award $380,000 in total prize money. Top podium has been occupied by Beezie Madden, Margie Engle, McLain Ward, Steve Guerdat, and Lorenzo de Luca in previous years. The conclusion of WEF will feature the $500,000 Rolex Grand Prix CSI 5* as the final evening competition of the season.